Why choose Cross Timbers’ Kindergarten School? Your child’s kindergarten experience should be exceptional! Research shows that the success children achieve during this year is a major indicator of future academic success. Our comprehensive, nationally recognized and accelerated kindergarten curriculum – implemented by experienced teachers – builds the foundation to ensure the following years are equally exceptional! At Cross Timbers, our kindergartners discover their potentials, eagerly explore new concepts, and are inspired to be adventurous learners. Each year, more than 100,000 kindergartners use the A Beka Book Kindergarten Program. The academic integrity of this program has been validated by the success of hundreds of thousands of students. Students instructed under our curriculum consistently score above the national averages on standardized tests and college entrance exams. Our skilled researchers and writers do primary research in every subject and look at that research from the traditional Christian perspective. While it is healthy to be informed by educational trends and performance data, it is not the practice of A Beka Book to adjust or change its curriculum to align with each new reform that is presented in academia. We will continue our commitment to seek content and best practices that provide our students with the tools they need for both academic and personal success. WHEN: Starts Monday, August 18th; however, we are open to transfers throughout the school year! ELIGIBILITY: Enrollment will be open to children who turn 5 before Oct 1st. Children who turn 5 between Sept 1st and Oct 1st will be enrolled based on their developmental readiness as determined by Cross Timbers School professionals. CLASS SIZE: Class size is limited to 15 students compared to 22+ in most public Kindergarten classes. ENROLLMENT DATES: Preferred enrollment for current families runs Feb 17th through Mar 31st. Enrollment will be open to the general public beginning. Apr 14th. TO ENROLL: Complete the Kindergarten enrollment form, and deliver or mail it along with your enrollment fee of $50 to the address on the upper right-hand corner of this page. PRICING: $160 per week. This includes before care 7-8:30 A.M. with breakfast, school 9:00 A.M. to 3:00 P.M. with lunch, after care 3-6:00 P.M. with a snack, and daycare when school is not in session. To complete enrollment, please provide the enrollment form, shot records, birth certificate, and the enrollment fee. 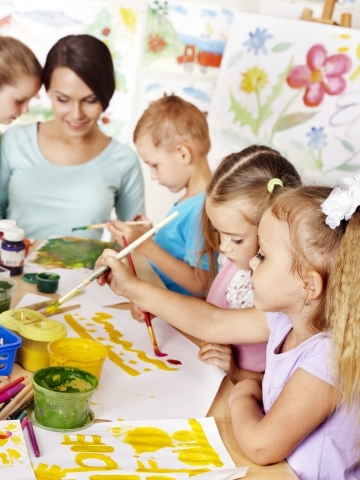 If you’re looking for a nurturing private kindergarten near Owasso, Cross Timbers Preschool & Daycare can help! 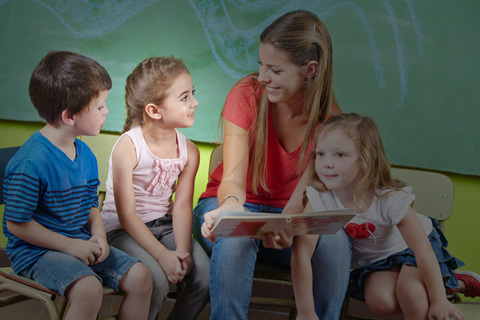 We offer a nationally recognized curriculum for kindergartners, helping them build a solid foundation of knowledge with the help of experienced teachers. If your kindergartener is ready to discover their potential and explore new and exciting concepts, schedule a walkthrough of our educational facility today! When your child completes their first year of kindergarten, consider enrolling them in our private first grade classes to continue their education. We also offer before and after school programs and summer camp for children with working parents.